With all the excitement going on in the past three weeks around here and the abundance of recipes that needed to be posted something super exciting got a bit less attention. As you may have guessed from the title, MPK got a little press love. Yap! I had a phone interview with Maryia Krivoruchko from UCLA’s Daily Bruin. I suggested some recipes for her to make for her column and I was very excited to see that she chose to make Maman Fakhri’s Khoreshteh Narengee! 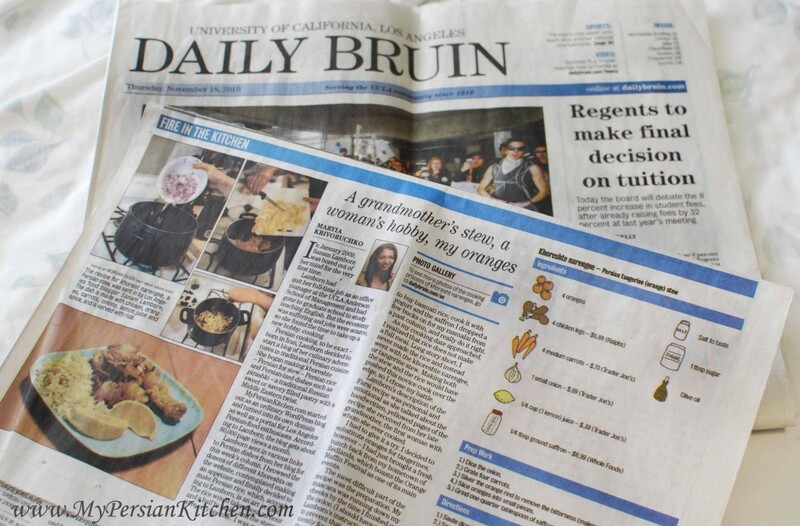 I love this new column in the Daily Bruin and the corresponding pictures of ingredients in the ingredient list. 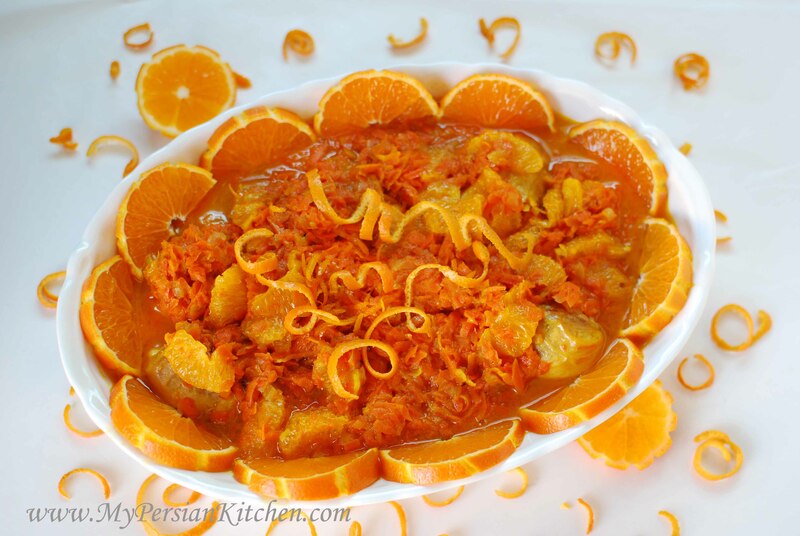 Maryia made the stew with oranges purchased from her hometown in Redlands. I was personally extremely excited to read that even though it was a time consume adventure Maryia was very with the end her khoresht’s end results! Many thanks to Maryia for the article and those who emailed me after reading the article in the paper!! You can read the article in its entirety over a the Daily Bruin by clicking here. Awesome– UCLA is my alma mater! 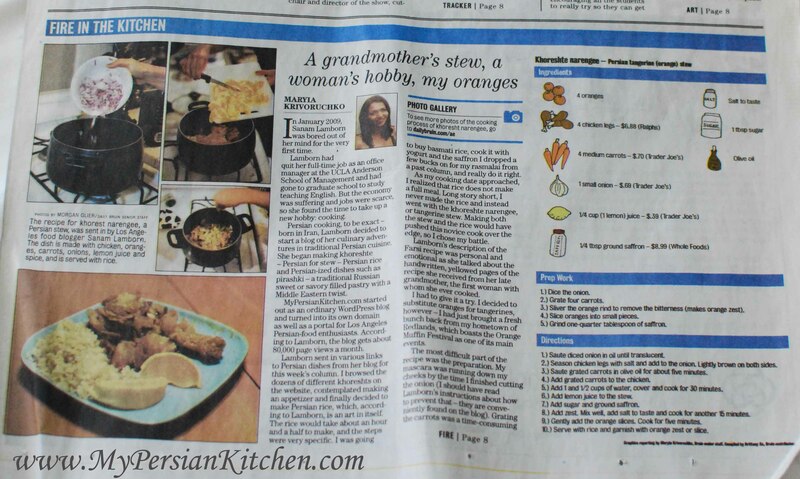 And with all the great Persian restaurants and markets around the campus, that article is perfect for students!